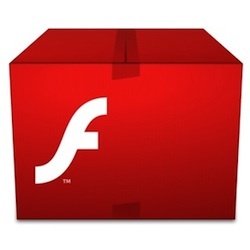 Adobe’s Flash Player has never performed as well in Mac OS X as it does on Windows-running PCs. The traditionally poor performance of Adobe’s plugin on the Mac has led many iPhone and iPad users to support Apple’s decision to keep Flash off of its mobile devices. While the upcoming Flash 10.1 does boast some significant performance improvements over its predecessors, the performance is still pretty terrible compared to h.264, which has access to hardware-accelerated video decoding via the GPUs in Macs. Adobe’s stance has long been to blame Apple for the poor performance of Flash on the Mac, citing Apple’s unwillingness to allow third-party developers access to APIs necessary for hardware-accelerated video. Adobe no longer has that excuse to fall back upon: Apple posted a technical note back in late March that removes this restriction and allows third-party developers access to hardware-acceleration APIs for h.264 decoding in compatible GPUs. The technical note describes ‘a C programming interface providing low-level access to the H.264 decoding capabilities of compatible GPUs’ — meaning only the latest Mac GPUs, the NVIDIA GeForce 9400M, GeForce 320M and GeForce GT 330M. ‘It is intended for use by advanced developers who specifically need hardware accelerated decode of video frames,’ the note continues. So there you have it, Adobe. The one thing that’s supposedly been holding you back from getting decent Flash performance on the Mac is now gone. Now that Apple has removed this ‘stumbling block’ and you’re unfettered by Apple’s restrictions, the onus is on you to prove that you can deliver a well-crafted Flash plugin for the Mac — preferably one that doesn’t crash constantly or send my fans into a cyclone any time I try to watch full-screen Flash videos. It will be interesting to see how Adobe responds to this. If Adobe takes advantage of the hardware-acceleration APIs, how much improvement Flash’s performance sees as a result will settle the debate once and for all over who’s been at fault for Flash’s subpar performance on the Mac. Even if Flash sees substantial performance on the Mac as a result of this move, though, there’s probably no chance that Apple will relent on its stance regarding Flash on iPhone OS. TUAWApple throws Adobe a bone — on the Mac originally appeared on The Unofficial Apple Weblog (TUAW) on Thu, 22 Apr 2010 19:00:00 EST. Please see our terms for use of feeds.